If you’re looking to give your kitchen a splash of retro colour, you’ve come to the right place. Smeg is synonymous with its iconic FAB retro-style fridges, coming in a variety of trendy colours and designs. However, it also offers Side-by-Side and French door models in a classic stainless-steel finish. Read on to see exactly what Smeg has on offer in Australia. What fridges does Smeg offer? All Smeg fridges are claimed to have tropical grade performance. Expect features such as turbo cooling, automatic defrost, quick chill crystal glass shelves, chrome wine racks, vegetable crispers and energy efficient freezers. Some of its latest additions also feature Active Fresh Blue Light, said to help preserve fruit and vegetables. Smeg claims its fridges are a “true example of technology with style”. Read on as we explore some of its most popular models and make up your own mind. There are two size options for Smeg retro top mount fridges – these include Fab 50 and Fab 28. Smeg’s Fab 50 line-up features two door fridge-freezers with 467L capacity, divided into 351L fridge volume and 116L freezer volume. It features a manual ice maker, adjustable shelves and a bottle shelf. Additional accessories include a cheese box and butter tray. In terms of energy efficiency, these fridges hold a three-star rating, which in turn will add around $145 to the electricity bill each year (according to the Standard test, using 33c/kWh). 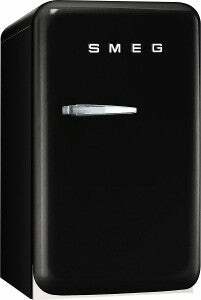 Smeg’s Fab 28 are one door fridge-freezers with 256L capacity, divided into 222L fridge volume and 26L freezer volume. Standard features include adjustable shelves, wine rack, meat keeper, crisper drawer and ice cube trays. With a smaller capacity, it has a 3.5-star energy efficiency rating, using around $81 of energy per year. This line is stated to be made in Italy and some designs such as the Australian flag are made to order. Both ranges have a two year warranty on parts and labour. Another range of coloured retro fridges is Fab 32, incorporating bottom mount fridges with 326L capacity (228L for the fridge compartment and 98L for the freezer). Apart from difference in fridge capacity, this line is fairly similar to the top mount fridges above. It features adjustable shelves, wine rack, meat keeper and foldable 12-place egg nests. 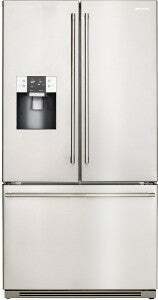 With a 3.5-star energy efficiency rating, expect to pay around $107 for these fridges per year on electricity bills. 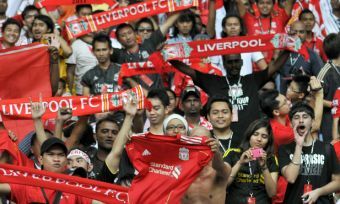 Its country of origin is also Italy and comes with a two year warranty on parts and labour. The last of the Smeg retro range is bar fridges – Fab 5 and Fab 10 – with 42L and 135L capacity respectively. Fab 5 fridges feature two adjustable shelves, one balcony shelf and one bottle shelf. Fab 10 fridges, on the other hand, are slightly larger in capacity and have two glass shelves, two adjustable can holders, one dairy shelf and one bottle shelf as well as three door shelving compartments. Smeg bar fridges have slightly less colour variations than Smeg’s top mount and bottom mount fridges mentioned above, coming in solely three options – black, red and cream. Expect an energy rating of 1.5 stars, which in turn can cost around $81 to run each year. French door fridges are typically better suited to larger families as they offer generous amounts of storage. Smeg’s new range of French Door Fridges will not be as familiar as the popular retro fridges. Nevertheless, these are boasted to offer an elegant and sophisticated style instead. There are just two options here both with two-year warranties. 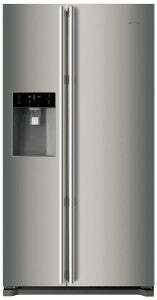 This Smeg French Door fridge has been designed in stylish stainless steel. Its 762L volume is divided into a 512L fridge compartment and 250L freezer compartment, providing enough storage space to feed a family of five or more. This model is stated to be made in Korea and has a 2.5-star energy efficiency rating, using $205 of energy per year. Its internal layout features wide refrigerator shelves illuminated with bright LED lighting and conveniently positioned right at eye level. There are also seven storage compartments on the doors plus and egg container and two vegetable crispers providing you with a wide range of food storage options. The freezer section is divided into a full width drawer and deep storage bin allowing east access to your frozen goods. It’s claimed to remain frost-free for consistent and reliable cooling, plus it has an anti-bacterial system stated to help suppress the growth of germs and keep your food fresh. It’s also equipped with an ice and water dispenser in the door so you can enjoy instant filtered water as well as cubed or crushed ice. The fridge’s digital control panel is located just above the dispenser where you can set the temperature of the fridge and freezer sections. This Smeg French Door fridge is a slightly smaller model, yet still designed for a large family with its 394L fridge capacity and 192L freezer capacity. The sleek interior and exterior allows the FQ60XPA to blend nicely into any modern kitchen. Not only does the French Door design allow for easy access, its blue feature lighting enhances the stylish design of the interior as well as increases visibility. The freezer’s right-hand side compartment can be turned into a refrigerator with separate temperature controls (-24 to +10°C) and an interior wall separating both sides. This feature is ideal during times when you need extra space in the fridge. It also features a bacteria suppression system to help keep your food fresh and healthy. With clear refrigerator and freezer bins, adjustable glass shelves and large door shelves you can easily organise your foods and drinks to better suit your household. While it doesn’t have an automatic water and ice dispenser, it’s equipped with a mechanical icemaker. Other functions include ECO and ‘holiday’ mode, ideal for when you go away. It’s made in Turkey and has a two-star energy efficiency rating, adding around $193 to the electricity bill each year. Side-by-Side fridges are also ideal for large families with over 600L capacities. In addition, they’re highly convenient as they make it easy to access your fresh and frozen food. In terms of energy efficiency, you can expect 1.5 to 2.5 stars from Smeg, costing around $200 to $250 in energy per year. Smeg’s Side-by-Side fridges are boasted to give you state of the art cooling technology, providing freshness in any climate. The bacterial suppression system included is designed to minimise bacteria and harmful germs, claiming to provide a hygienic environment for food preservation. This system also helps to prevent cross contamination of bacteria, plus keep odours to a minimum. The wide door compartments make it possible to store large bottles while the deep storage bins can easily accommodate your fresh produce. Two cooling fans keep cool air flowing continuously through the fridge to prevent any warm or frosty spots from appearing. A regular temperature leads to greater freshness for your fruit and veggies. For the ultimate in convenience, both 608L capacity Smeg fridges come with an ice and water dispenser, located in the external door panel. 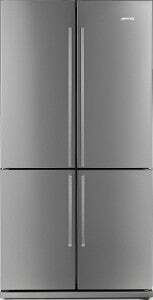 Is a Smeg fridge worth the money? Smeg refrigerators are stylish and beautifully designed, not to mention the wide range of colours that are on offer within the range. If you’re looking for a fridge that will make a bold statement in your kitchen while keeping your food fresh, Smeg is a brand you might like to consider. It will also coordinate perfectly if you already own other Smeg appliances. It would be wise to consider your budget as Smeg fridge prices sit in the high end of the price spectrum. To find out what brands are keeping Australians happy on factors such as value for money and reliability, follow the link below to our fridge customer satisfaction ratings.